Home » discipleship » What are some of the benefits of sermons? For me, there are times when our pastor’s interpretation will make me question whether I read the passage correctly. I seem to have a comprehension problem at times and after I hear the pastor and then go back and read it makes sense. I’ve well and truly drunk the Kool Aid on participative learning but have been reminded by some friends recently that sermons can inspire, exhort and challenge, as well as teach. And some people really can give an inspiring talk that sends me away with fresh vision and determination. That’s something we all need from time to time, right?! Allan, the word of God is a revealed word, someone can have a skill in sharing what God has revealed, this is turn can be what i need to hear and pay heed to this to me is a good sermon. Most people experience sermons every week by the same person. That gives us a very slanted view of faith in God, and it is obviously (from reading the NT) not what God intended. Only when the Holy Spirit is empowering the whole assembly, and the brothers follow His leading, can we truly experience the benefit of meeting together and being built up in our most holy faith. 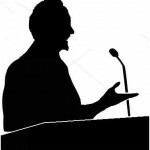 One benefit of a sermon is that it allows the speaker to present his beliefs fully, clearly, and without interruption. The message (good or bad) does not get sidetracked by multiple people talking about side issues. In case you wonder, I am a firm believer in the value of discussion. Any method we use has both strengths and drawbacks. We live in a world that wants all answers in 20 second soundbites. That is often not possible. A 20 minute sermon allows the speaker to state what they belief, why they believe it, and to challenge the audience with practical ways of putting it into effect. While all sermons do not accomplish this, at least the potential is there. There will be opportunities to list the benefits of discussion. In this post, please keep your comments related to the benefits of sermons. Thanks! I’m sold on using conversation/discussion based teaching the vast majority of the time and in small groups. That said, sermons or lectures do have a place in teaching. When the group is too large for a conversation/discussion to take place you need a delivery method to fit the size – sermon or lecture works well in this setting. So, for us, when the house churches in the network meet as a larger group, the teaching has to fit the dynamic of the larger group. Also, I believe there are some subjects that are more easily taught, or perhaps better taught, through methods that don’t allow interruptions or sidetracks. So, for these subjects, sermons or lectures are a better teaching method. Someone mentioned the idea of vision earlier. A sermon or lecture format is also usually better for vision casting or group encouragement. Those are three areas in which I find the sermon/lecture format beneficial. Sermons (using your definition above) follow the example of Jesus. While using a variety of teaching methods he did at times sit down, open his mouth and teach (cf. Matthew 5:1-2 among others). Jesus used them as a tool to communicate and as a vehicle for truth. The best ones are logical, thoughtful, challenging, helpful and driven by the text. As Scott has mentioned above, Jesus did use sermons, and I would add the apostles did too when preaching to groups or crowds of unconverted people (i.e. preaching the Gospel) I believe that in such situations a monologue address can be a powerful tool to challenge a group of people to consider the claims of Christ and their need to be saved/converted. I also note that almost all of the Lord Jesus’ and the apostles’ monologue Gospel messages were interrupted or responded to by their audience! So a monologue sermon does not preclude audience participation! The Lord and the apostles expected, anticipated and permitted and encouraged such responses. Sermons would be much more effective when such would also be true of ours today. Depends on the sermon, and, the delivery of it! 1) a well organized presentation to convey thoughts, concepts, principles from scripture. But, like bread, though good and tasty, can be hard to live on alone. In my experience I can see how sermons were instrumental in challenging me at a time when I was not really following Christ and being obedient to His Word. So (in my experience) I would say that sermons can be effective at challenging someone (me) who was not pursuing Christ and as a result was not encountering Him or hearing from Him. I came to faith in response to faithful teaching heard “under the word” by a thoughtful and compelling pastor. I am thankful that a man preached that day. To my thinking a sermon has the advantage (depending on the preparation and spiritual condition of the one doing the delivery) of efficiency and order. Rather than seemingly random wandering that often characterizes spontaneous contributions, sermons can reflect careful reflection while being no less the result of divine inspiration than other contributions. I have often wondered how people who claim to be spontaneously speaking ‘by the Holy Spirit’ can be so repetitive and long winded…as though somehow the Holy Spirit cannot make up His mind about what to say and how best to say it! The Word of God in the mouth of man is a powerful thing that can drastically affect the hearer. It can bring healing or comfort, virtue or forgiveness, conviction or encouragement or any number of awesome helps to the hearer. A sermon can be that…. Proverbs 25:16 If you find honey, eat just enough–too much of it and you will vomit. Proverbs 25:27 It is not good to eat too much honey…. I guess you could ask how is vomitting beneficial??? I have said many times that sound teaching is not limited to expository sermons, but I would affirm more positively that it certainly may and often does include them. I have listened to and benefitted from hundreds of substantive sermons (or thousands, including those I’ve read) over my life of five-plus decades. We find the apostle Paul using three types of communication on the same occasion when addressing the church in Acts 20: lecture (Greek, logos) and dialogue (Greek, dialegomai) in verse 7, and personal conversation (Greek, homileo) in verse 11. The first one was probably more like we think of preaching as one-way communication –- basically, a monologue. The last two included other people in a more interactive way as multidirectional communication. All types should edify the church. Good sermons may consist of a variety of elements, but I would say the better ones, in my opinion, have communicated wonder, love and praise like a heartfelt song presentation might do. The speaker is making a good confession of Christ. He is absorbed with the Lord in worship. He is not merely presenting an essay, or making a speech. He is smitten by the truth he is preaching as if he were listening to it instead of preaching it. And he is earnest and compassionate toward those he is addressing. He demonstrates genuine love and concern for the brethren, whether he is instructing, encouraging or rebuking them. He does not call attention to himself. In fact, the best preachers, in my opinion again, have been those who seem to disappear while they are speaking. They leave the listener so fully absorbed with the message of Christ that the messenger becomes transparent. One of the primary benefits of teaching or preaching is that information can be imparted without interruption for a more extended period of time. This allows the topic or passage to be more fully and methodically explored than is normally possible with a multi-directional, winding, shifting, spontaneous conversation involving others. • CORE teaching and/or preaching for 25-35 minutes by a qualified teacher, elder (or pastor) can be presented first. • CONVERSATION around related passages can be conducted in groups of 8-12 people at tables (which could already be set up and used during the CORE teaching) for 10-15 minutes (or longer) where a variety of things can be shared: application of the passage, experiences related to the message and applying it in one’s life, other insights, comments or questions that are relevant and edifying. • COMPENDIUM (or CONCLUSIONS) summarizing salient and concise points, gathered from each group, can be shared with the whole congregation, either by the primary teacher/preacher or individuals pre-selected to lead/represent each table. In this way, the ministry of the word includes the sermon or the preacher/teacher, but is not limited to it. The entire church body is more directly engaged and challenged to mature in the word. And the best contributions gleaned from the smaller groups can benefit the whole church. • COMMISSION (or CHARGE) can be issued as ‘action item(s)’ to do in response to either positive or negative elements that surface from corporate engagement with the word. Regular responses to God’s word will include things like remembrance and fellowship (the Lord’s supper), praise, prayer, confession, repentance, meeting immediate physical or spiritual needs. Complicated questions, controversial topics, or difficult issues that require deeper discussion or vetting are best reserved for private counsel with church leaders or others capable of serving in this way, or a separate men’s meeting or ladies’ study. Something like this seems to more closely resemble the New Covenant “EKKLESIA” as not only a ‘gathering,’ in some general sense, but a robust household of faith assembled to conduct kingdom business grounded in spirit and truth (i.e., heartfelt, true, practical and sacrificial, lifestyle worship) that engages and serves the body of Christ in a greater way, thus equipping it to present a more persuasive witness to the world. There is a cycle here that moves from doctrine to doxology (like most of Paul’s epistles); from not only ‘talking the talk,’ but ‘walking the walk,’ as ministry projects unfold and the brethren are “stirred up to love and good deeds” (Heb. 10:24-25). I have the advantage of great Biblical teaching in the home while growing up (including SS flannelgraph lessons every morning before going off to school for a number of years). While sermons ‘can’ be useful, I find I can remember few if any of them and can’t say that I EVER learned something new from one. That’s a pretty strong statement that I find a bit curious, though true. I may have been reminded of something during a sermon but it wouldn’t have required a sermon to get that reminder, it was just the means/method at hand. If I did actually hear something new, it didn’t stay with me such that I remembered it and associated it with having been learned/heard during a sermon. I would also note that there may be a difference in my mind between a sermon and preaching. By preaching I refer to the expository style where there is (I’m at a loss for words here) a vocal component that is unique to preachers rather than public speakers and teachers. Preaching by definition can occur without the use of this expository / oratorical method commonly associated with preachers but is also often only associated with this style I’m referencing. (I think you know what I mean but I can describe it well) Anyway, that type of speaking/sermon is fortunately less common and could do well to disappear altogether. Perhaps it was okay historically, but it’s not the best methodology for today’s culture. It may have had it’s place in the days when voice amplification depended on one’s diaphragm. I’m a little confused. Are you saying that a certain oratorical style is a benefit of sermons? If not, what are some benefits of sermons in your comment? Sermon is a mean for conveying a knowledge and understanding of the word and law of God to other followers. Naturally a sermons will benefit the listeners in learning and getting some new knowledge from a minister who have done some advance studies on the scriptures. The listeners are those who haven’t got the opportunity to dedicate their time for studying the scripture themselves, or are simply beginners and are in their learning curve. In our life time we can never finish our learning curve, so listening to a preacher we can always learn something new from him/her. What are the benefits for students to sit in a lecture of a professor at the university? The same benefits will be for those who listen to a sermon. The more sermons I listen to the better understanding and knowledge I can get on the holy scripture. Studying the scripture in group is another way of learning, but it is not the scope of this post. Apologies, I did get a bit off track. However, yes, that oratorical ‘style’ often associated with preachers did have an advantage when speaking to large crowds without benefit of electronic amplification. As a standalone statement, it’s an advantage. I should stop there. Sermons demonstrate that God’s grace is so large, he is capable of blessing and using for his purposes a dynamic that is so opposite of what He very specifically asked for in the gathering of His people. He is willing to use a dynamic that forces complete perpetual dependency of the people of God on one man and forces the consuming of finances so that preaching the gospel to those who have never heard is a very small priority and preaching to those who have heard 1000+ sermons is 4 – 8 times higher priority. That is an amazing grace.